Ann Bracken | Poet. Author. Creator of Possibilities. Ann Bracken – POET. AUTHOR. CREATOR OF POSSIBILITIES. I’m so pleased the Every Writer decided to publish my poem “The Code,” a poem about suspending judgement in a writing group for incarcerated men and women. I’m honored to have my poem about the incarcerated women who work as CalFire firefighters posted today at New Verse News. The poem is a persona poem–in the voice of one of the incarcerated women–and tells her story. The title of the poem is “$1 a day to Fight the Largest Fire in CA History,” and is based on a story that I heard on Democracy Now. Thanks to everyone who came to the Roland Park reading. You were a great crowd, and I appreciate your support! Ann Bracken will discuss and read poetry from her 2015 volume, The Altar of Innocence, which explores ideas associated with family secrets and trauma and the many ways a family is affected by the serious emotional struggles of other family members. 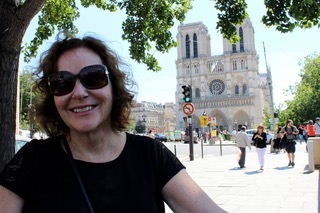 Ms. Bracken has training and wide experience in using poetry and the arts in healing and will discuss how poetry and journaling can be used to reach those who struggle with the all-too-common human experiences of severe emotional distress. I’ll be presenting a proposal for an art installation exploring my mother’s journey to conquer her nearly 40 years of depression and anxiety. Using a variety of artifacts, including letters, prescription records, and insurance forms, I detail my mother’s journey, compare it to my own, and raise questions about the nature of depression and the current models of treatment. Do you have stories inside just begging to be told? Do lots of great ideas fill your imagination? Is there something you want to say but you don’t know where to begin? Then this class is for you. 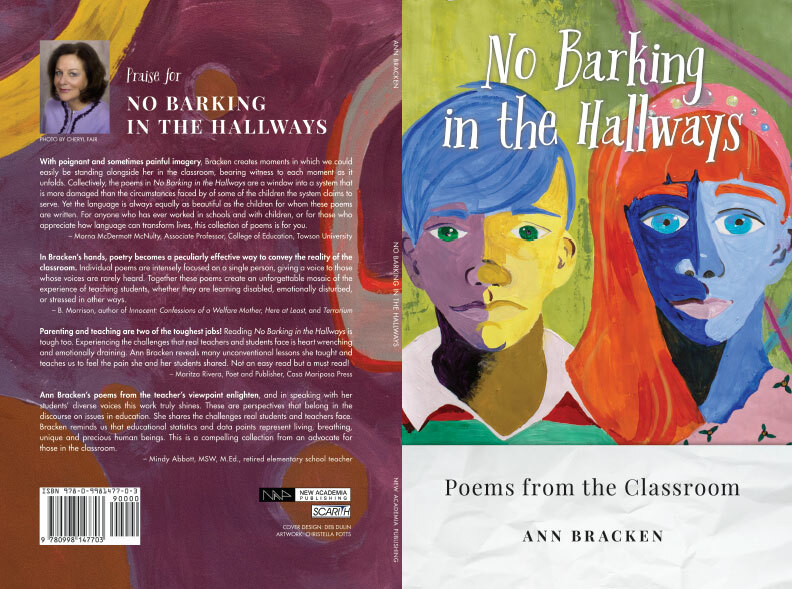 Ann Bracken has published numerous essays, interviews and two books of poetry since she began her writing career. During this class, students will explore a variety of basic techniques to enhance any type of creative writing you want to pursue, including memoir, fiction, and poetry. 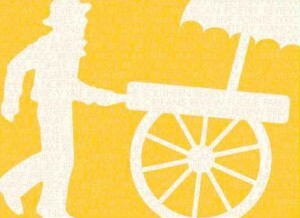 In this class, we’ll explore and practice using image and figurative language, specific and concrete details, and varying the pacing and rhythm of lines and sentences. All of these techniques can help to propel your writing from good to great. No Barking in the Hallways offers a rare glimpse into the lives of teachers and students in America’s public schools. I have worked as a special education teacher and college professor since 1974 and have taught many unforgettable students. Unfortunately, the voices of students and teachers are rarely heard in any meaningful way, especially when it comes to discussing the state of American public education. 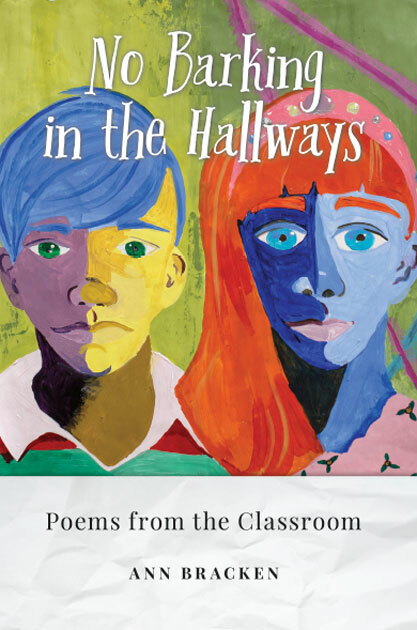 Poetry offers people who have no voice a way to enter the debate—the teachers and students who fill America’s classrooms, attempting to teach and to learn, to be both ethical and successful in a system that often thwarts those efforts. Mine involved alcoholism and depression and their effects on the young girl who witnessed the roller-coaster ride of mental illness and self-medication. I explore the issues of my parents’ unspoken lessons by writing through three lenses: conjectures of what my mother may have felt, recollections of key childhood events and my own journey to overcome depression. 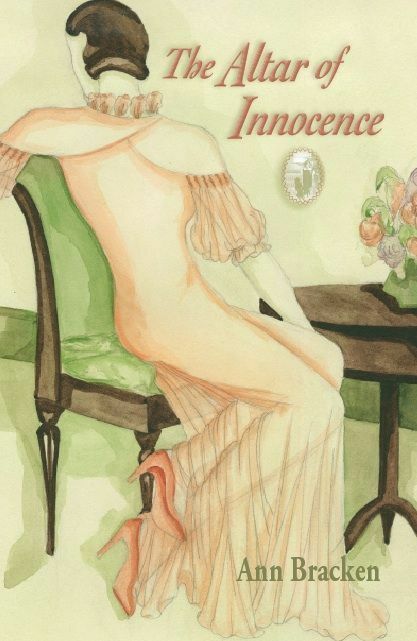 Find out what I learned in The Altar of Innocence, available January 30, 2015. I offer my story as a glimpse into the secret worlds that so many still inhabit. We are never as alone as we think. ~ Laura Shovan, author of Mountain, Log, Salt, and Stone, and winner of the Harriss Poetry Prize.